Whether you’re a construction worker, a retail manager, or a nurse, your feet take a beating on the job. Long periods of standing, carrying heavy objects, jumping off loading docks, and navigating tripping hazards put you at risk for foot pain and foot injury. If you’ve ever stubbed your toe, you know that even the slightest trauma to your foot can cause intense agony and significantly impact your mobility. A serious injury, like a broken foot or foot sprain, may require you to take time off work to heal. Fortunately, foot injuries are covered by workers’ compensation, and eligible employees can collect benefits that will pay for their medical treatment and lost wages. Here’s a look at the most common foot injuries in the workplace and the hazards that typically cause them. Falling and rolling heavy objects can crush a worker’s foot and result in a broken bone, amputation, or puncture wound. Chemical solutions that are splashed or spilled can cause burns on feet that aren’t protected by safety footwear or overshoes. High voltage electrical currents can cause electrical shock or fatal electrical exposure in wet environments. Exposure to extreme cold can result in hypothermia, frostbite, and amputation of feet or toes. Slippery walking surfaces can cause a worker to twist, sprain, or fracture his or her foot. Sharp objects and machinery can cause lacerations on the foot. Broken glass or loose nails on the floor can puncture the bottom of the foot. Standing for extended periods can result in cumulative foot injuries like bunions, corns, and fallen arches. Have you suffered a foot injury on the job in San Diego? If you suffer a foot injury on the job, it’s important to notify your supervisor as soon as possible – no matter how insignificant the trauma seems at the time. 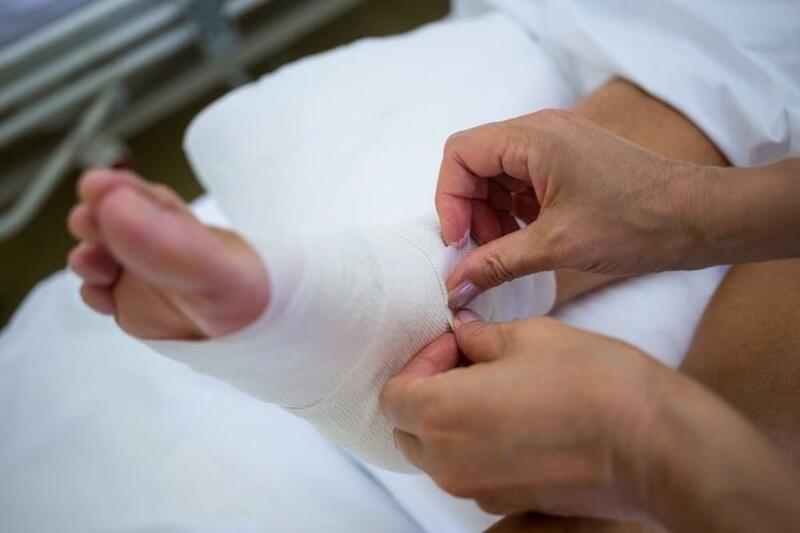 A minor injury can become aggravated with continued use, causing major issues down the road. By filing for workers’ compensation at the time of your initial accident, you increase your chances of having your claim accepted and receiving benefits when you need them. At the Law Office of Gerald Brody & Associates, we understand that accidents happen no matter how careful you are to avoid them. When they do, we’re here to fight for your right to a safe work environment and to receive the compensation you need to recover – both physically and financially. If you suffered a foot injury on the job and plan to file a workers’ compensation claim, call us first. We’ll walk you through the process and help you collect every last dime you’re entitled to. Give us a call at (619) 528-9800.